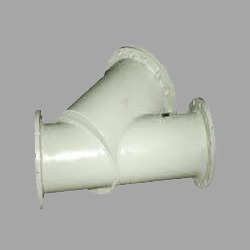 We are a well known manufacturer and supplier of Y Type Industrial Strainers. Named after their shape, these strainers are fabricated using superior quality material. By using perforated sheet straining element,these are used for eradicating solids from flowing fluids or gases. 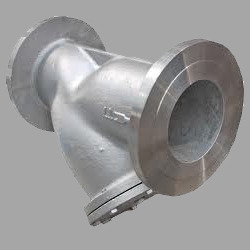 Capitalizing on our sound infrastructure, we are able to manufacture a quality range of Y Strainers that is designed using fine quality raw materials and cutting edge technology. Made as per the defined industry standards, these are also stringently tested before supplying to the customers based round the nation. 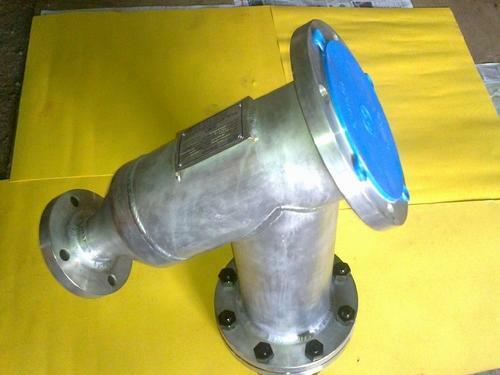 The Y Type Strainer that we manufacture are available. These Y Type Strainer are precisely designed for high performance and longer service life even after regular use in extreme high temperature and pressure. Our entire range is easy to install and also protects from foreign matter in the pipelines. Based on the skills of our adroit professionals and creative workers, we bring forth an extensive range of Y Strainer. Owing to attributes like durability and easy installation, the offered strainer is extensively demanded in the market. A team of our deft professionals, with hard-earned experience process the offered range using high grade raw material. The offered strainer is available with us in various sizes, designs and other related specifications. 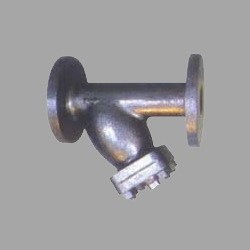 By utilizing skills of our dexterous workforce, we are offering a comprehensive assortment of Industrial Y Strainer. We manufacture this strainer by employing optimum quality raw material and latest technology in adherence to the set industrial norms. 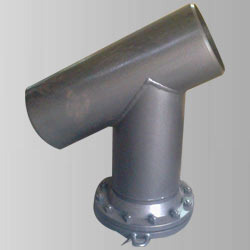 this is used for eradicating solids from flowing fluids or gases. Owing to features like high strength and best quality, our offered range has been able to earn a lot of popularity in the market. Presenting our valued clients an outstanding range of Y Strainers.Specially designed for handling extreme pressure and deliver optimum performance under testing environment. Available in various dimensions and specifications. Easy to install and low maintenance make Y Strainers unable us continue leading this competitive market. These Y Strainers made of high quality steel that keeps it corrosion free. We also offer blind coverings for these strainers. 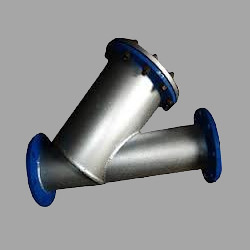 We are eminent in manufacturing and exporting Y Type Strainers that are successfully catering to the versatile needs of various Process and Chemical Industries. These valves are rigid and robust in construction and are provided with full port filter elements, which make them distinguished of other valves and make these highly demanded. 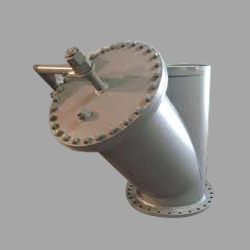 Fabricated Y Strainer is in line strainers and are recommended in system with low level debris. Supplied in screwed or bolted cover depending on size and pressure rating. 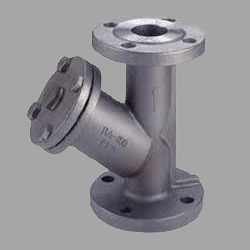 We also offer design of Fabricated Y Strainers. Sizes: 1" to 32" NB. Flanged to 125/ 250 FF and 150/300/600/900/1500/2500 RF, can be drilled to BS tables, DIN and IS standards. Also available with 1" & 1.1/2" screwed ends.